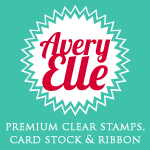 So Many Stamps So Little Time: Avery Elle: Oh Baby! Hello friends! I am happy to be joining the Avery Elle Design Team as the February Guest Designer! It has been a pleasure working with Jamie, and the rest of the super talented team. Today I am excited to show you a card I created using the adorable set "Oh Baby". I kept this light and springy using pigment ink from A Muse Studio. 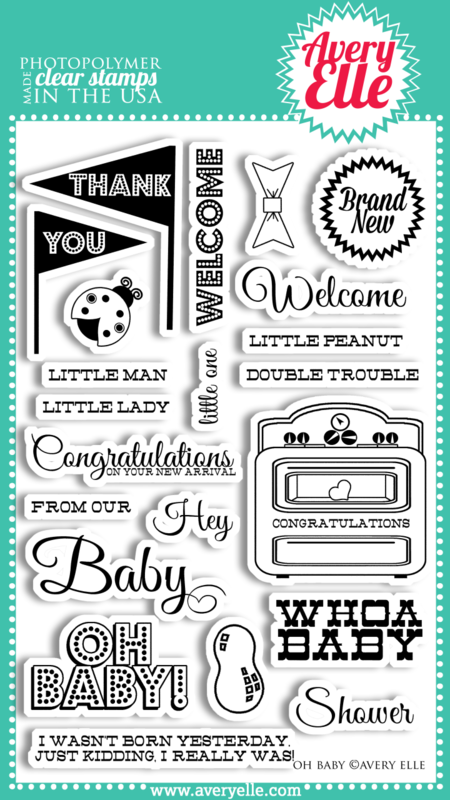 I stamped "welcome" many times, and stamped the larger "baby"sentiment in black using Onyx Black Versafine. I finished off my card with a strip of square gems, and a pretty pink bow! I hope you like it, and thank you so much for stopping by today! This is absolutely ADORABLE! I love it!!! So cute!